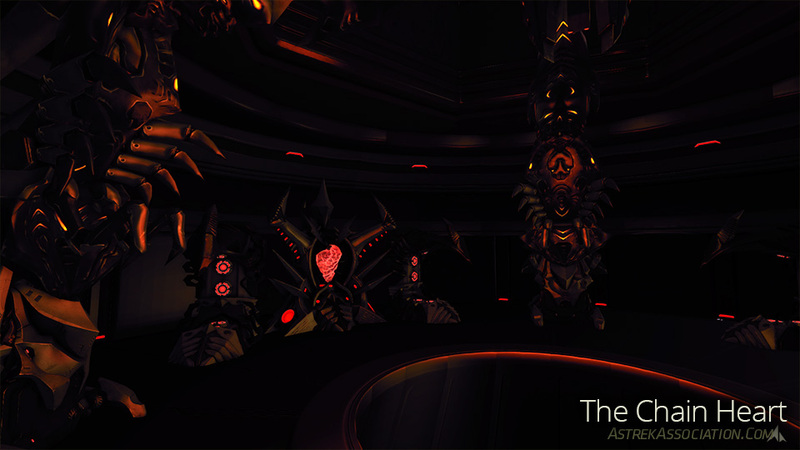 Blackwater Anomaly is the first five-player instance in Firefall, and provides a new kind of experience for Firefall players. 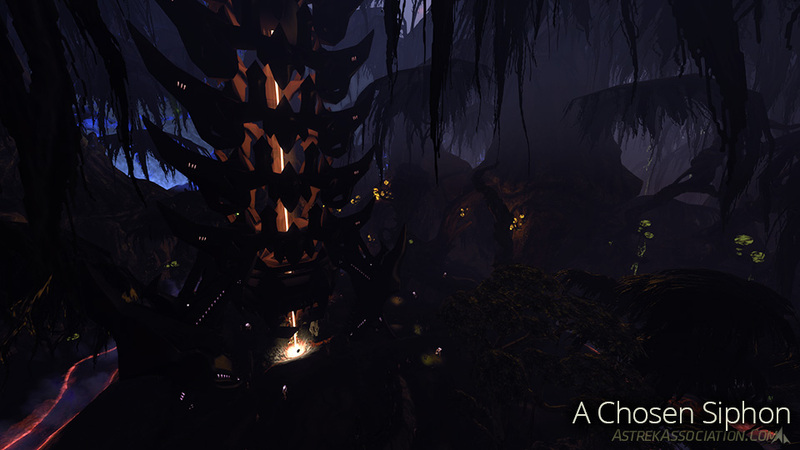 Visiting BWA will take you deep into Blackwater Swamp, to fight against the Chosen and uncover their secrets. Just a caveat: BWA tells more of the backstory of the Chosen Invasion, and although we’re not deliberately spoiling it for you, this guide will inevitably reveal some of the story. If you want to experience the storyline unspoiled, we recommend you complete the Echoes From Sertao mission series in order. Check out our guide to Accessing the Melding Pockets & BWA for the initial steps of the mission, and a full BWA run will show you the rest of the story. To enter BWA, your squad leader will need a Chosen Arcfold Modulator. You can learn how to get your own BWA key in our guide to Accessing the Melding Pockets & BWA. Your squad leader can queue you for BWA from the Melding Fragment Arcfolder in any major city. BWA follows a fairly linear path, centred around several set-piece fights with a number of skirmishes in between. Unlike instances in traditional MMORPGs, you can wander all over the map in BWA, although you’ll be facing small squads of Chosen opponents at every turn and you will need to eventually visit all the objectives in the correct order to finish the instance. We’ll take a look at each stage of BWA here, and discuss the basics of handling each phase. Note that BWA includes battleframe stations at several points on the map, so you can switch frames as you need. There’s also a battleframe garage right where you zone in, for repairs and changing your frame’s loadout. When you first enter BWA there’s only a tiny area free of the Melding, and you need to defend the repulsor while it initialises. This is a three-minute event, and you’ll need to fight off waves of Chosen who spawn from both sides of the area. You’ll only be dealing with juggernauts, shock troopers and tortured souls, however – the full gamut of Chosen enemies await you deeper in BWA. Chosen who get past your defense will attack the Repulsor, so you’ll need to make sure they don’t damage it too much. (Bastions can repair the repulsor with their Tesla Rifle.) Once you’ve defended the repulsor, your team will move from defense to offense as you explore BWA for the cause of the anomaly. 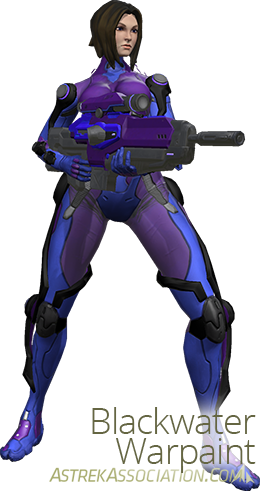 After the repulsor activates, Aero will warn you that she’s detected three massive objects, previously concealed by the Melding. 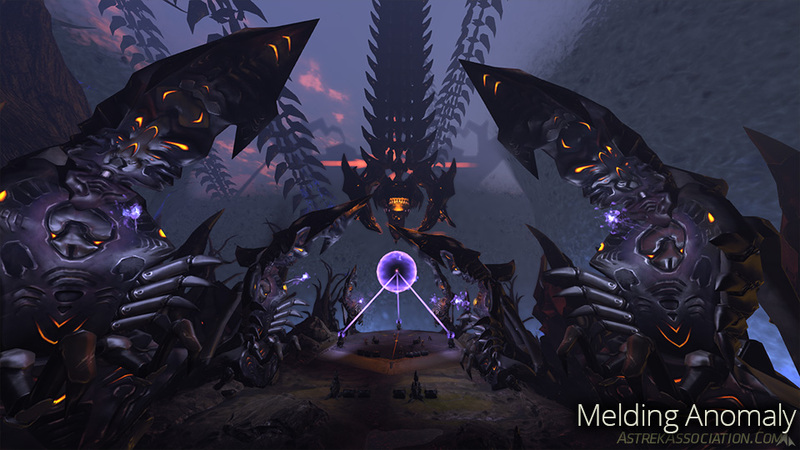 They’re huge chain structures siphoning energy from the earth, and the party must destroy them to proceed. The repulsors are defended by all the usual types of Chosen you’re used to from New Eden, and two new ones you’ll want to pay particular attention to. Elite Siegebreakers have a charged-up ability that blasts out a huge electrical field, causing a lot of damage. When you see them standing still, you’ll want to back away fast. They also have a lot of damage mitigation everywhere except the weak point on their back. Elite Juggernauts are much more fragile than the Elite Siegebreakers. They shoot blue fire that will kill you very quickly if you stand in it. Make sure you dodge! In addition, the Siphons are surrounded by Chosen Bifold Cannons, stationary gun emplacements shooting a steady stream of fiery projectiles at any intruder. These should be destroyed first from long range, as they’ll quickly lay waste to your entire squad if you don’t deal with them fast. To destroy a siphon, you’ll first need to destroy the Siphon Focus in the centre of the base of the chain. Once the Focus is gone, you can jet up into the centre of the chain, and you’ll find three Chain Hearts. Destroy these and make a run for it; when the siphon explodes, it’ll deal a lot of damage to everything in the vicinity. Once you’ve destroyed one siphon and disengaged from (or killed) the surviving Chosen, you’ll need to move on to the other two siphons to repeat the process. You can do these in any order, but there are certain paths that work better depending on your goals for the run — see Your Path Through BWA below for more details. When all three siphons have been destroyed, you’ll want to move northwards to the conclusion of BWA. There’s a long switchback path up a mountain, and at the top there’s a plateau with a mysterious Chosen artifact. You’ll face a pitched battle on this plateau – there are numerous bifold cannons and half a dozen of the Chosen Elites to fight. This area is much less painful if you approach slowly and only attack small groups of enemies at a time. 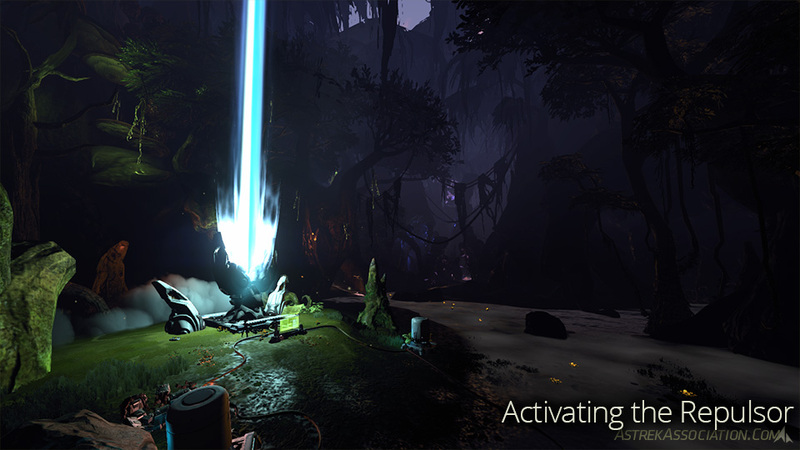 After you’ve cleared the area, approach the three pylons at the northern end of the plateau; activating the Siphon Terminals will give you access to the Anomaly, which can then be retrieved by a player. Once someone has collected the Anomaly, you’ll want to make your escape en masse — your exit is far to the south, where you’ll be collected by a brave dropship pilot. The easiest way to get there fast is to place a glider pad and glide south as soon as you’ve picked up the anomaly; this will get you to the lip of the plateau fast, and then place another glider pad to glide all the way back to the very first repulsor. You’re on the clock at this point, trying to get out before the 2 minute escape timer expires, and gliding is much easier than fighting your way through all the remaining Chosen. Once you’re back down at the repulsor, you’ll need to wait for the dropship to arrive – enter it when it does, and you’ll be flown back to Copacabana and safety. The objectives above are the primary encounters in Blackwater Anomaly, but there are other activities you may wish to complete as well. Your priorities will dictate the path you take. There are five SIN Imprints in BWA, the last words of the hapless Accord soldiers who died on the lost dropships. Finding them all will get you the Imprints of Blackwater Anomaly achievement, and you can then listen to them all in order to see another element of BWA’s story.1 There’s also an achievement, My Name is Hendrix Lake, to gather all five imprints in a single BWA run twenty times. This rewards you with the Blackwater warpaint, which you can use on any frame. There are imprints to the west and east of the initial repulsor area. The third imprint is between the central and eastern siphons. The fourth is to the northeast, and is the furthest out of your way; the fifth is on the switchback path up to the final plateau. Because some imprints require the group to follow a specific route, it’s worth clarifying with your group that an imprint run is what you’re looking for. 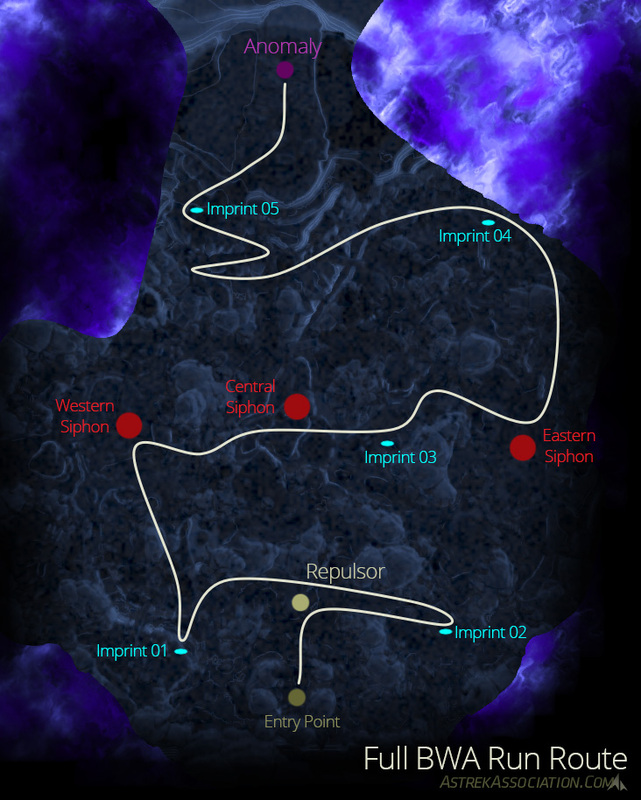 Below is a map of the general path you’ll want to take through BWA to retrieve all the imprints while completing the objectives. Note that it’s generally more efficient to collect Imprint 2 before Imprint 1, so it’s worth listening to the Imprints again afterwards via the Achievement screen, to hear them all in the correct order. 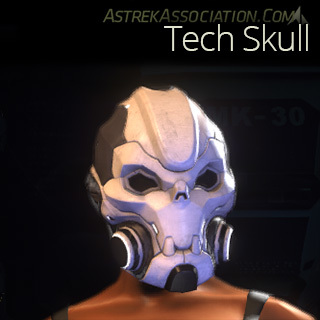 The Blackwater Blitz achievement rewards you with the Tech Skull headgear item, which you can don in the New You interface. It requires you to complete a full run of BWA (including a successful escape) in under 25 minutes with no deaths. Note that “death” means respawning; a downed player who’s successfully revived doesn’t count as a death. The most common route for this achievement skips the fourth SIN imprint and a number of rare crates, so you’ll need to make sure that your squad’s clear on what type of run you’re doing. There are over a dozen rare supply crates scattered around BWA. Half a dozen of them are very near the SIN imprints, so they’re easy to access. The others are somewhat off the beaten track, but you can still pick them up if you know where you’re going. If you’re not in a hurry to push through BWA as fast as possible, you might want to take a few detours and collect some of the extra crates, as they can be quite lucrative. You’ll need to fight Chosen to get to most of them, however. If you’re interested in the rare crates, you’ll want to check out this excellent map on the forums, created by DasBaum, which shows the location of all the rare crates in BWA. It also shows recommended paths for a crate-collection run, locations for many of the Chosen Elites, and all the other features of BWA. The event rewards give crystite, rare crafting materials (the rare and epic gems and precious metals), Crystite Resonators, Accord Merit Points, resources, and occasionally loot items. The amounts vary, but a typical full run will net you around 6-7 Accord Merit Points, the same number of Resonators, 10-12 gems and precious metals, and around 5000 resources (drawn from the New Eden resource pools). We’d like to take this opportunity to thank the friendly and helpful players from Thumping Eden, for their assistance with – and company in – Blackwater Anomaly! Can a squad enter BWA when there is another squad inside? I heard both answers. Thanks for the guide. It helped me a lot! Yep, a squad can enter any time they like – BWA is a squad-only instance, so the servers create a new copy of it each time a squad wants to enter. Some of them I do; which one did you want?